Transdev, world leading operator and global integrator of daily mobility, boosts commitment to shaping a more accessible, connected and environmentally sustainable urban mobility future by strengthening its partnership with NewCities. Thierry Mallet, Chairman and CEO of Transdev Group joins NewCities Board of Trustees. 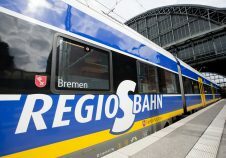 Transdev, one of the world's most influential integrated transport operators, has today boosted its commitment to shaping a better urban future through more accessible, connected and environmentally sustainable mobility by strengthening its partnership with NewCities. 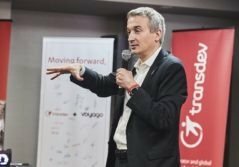 As a NewCities Global Strategic Member, this collaboration will see Transdev taking a lead role in the upcoming LA CoMotion Mobility Leadership Conference in Los Angeles, Nov. 15-16, as well as in NewCities artificial intelligence (urbAIn) initiative, the NewCities Summit and the international 2019 Wellbeing City Award. Thierry Mallet, Chairman and CEO of Transdev Group, becomes the newest member of the NewCities Board of Trustees, which is responsible for strategic guidance and support for NewCities initiatives and programs. Mr Mallet joins other global leaders from the public, private and academic sectors. John Rossant, founder and Chairman of NewCities says: “NewCities has long been focused on mobility and since its foundation has been bringing together the most insightful global voices from policy, industry, design, technology, architecture, economics and sociology to explore the many facets of urban mobility and to implement innovative and cutting-edge ideas and solutions. Mr Mallet and Mr Rossant signed the membership agreement in Paris last week. NewCities and Transdev have been collaborating on the topic of the future of transport and mobility since 2015 when Transdev supported the ‘Cities on the Move’ initiative, which has since grown into LA CoMotion. 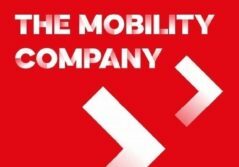 As an operator and global integrator of mobility, Transdev, the mobility company, gives people freedom to move whenever and however they choose. We are proud to provide 11 million passenger trips everyday thanks to efficient, easy to use and environmentally-friendly transportation services that connect people and communities. Our approach is rooted in long-term partnerships and businesses with public authorities, and in the relentless pursuit of the safest and most innovative mobility solutions. We are a team of people serving people, and mobility is what they do. In 2017, with 82,000 employees in 20 countries, the Group generated total revenues of 6.6 billion euros. For more information visit www.transdev.com. NewCities is a global non-profit committed to shaping a better urban future. A revolution in urban mobility is changing where and how we live, work and play – and walk, bike and ride. Every November, LA CoMotion brings together the leaders, the ideas and the technology powering the new mobility revolution – right in the heart of the vibrant Arts District in Los Angeles. This year the leadership conference is from 15 to 17 November, and includes the New Mobility Challenge – an international competition for innovative young companies transforming the face of mobility and transportation.